The number of anticancer drugs available in oral formulation has risen sharply in the past few years and this is expected to continue to increase over the next several decades. For patients, the convenience of self-administration constitutes a major benefit associated with oral therapy. For clinicians, however, the transition from parenteral to oral therapy has resulted in concerns about adherence to therapy, its monitoring, and its effects on clinical outcomes. Several studies have demonstrated that imatinib is effective at improving overall survival and/or recurrence-free survival in patients with gastrointestinal stromal tumors and chronic myeloid leukemia (primary and metastatic disease). Despite the survival benefit and the favorable toxicity profile of imatinib, however, adherence to imatinib remains poor. 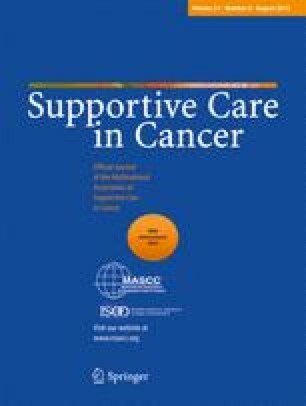 Herein, we review the evidence showing the effects of nonadherence on patient outcomes as well as data indicating that adherence to imatinib (and oral anticancer therapy in general) is suboptimal. We also highlight factors that may contribute to nonadherence and suggest key steps that can be implemented by the multidisciplinary medical team to overcome the daily challenges of adherence. Improving adherence to imatinib depends on open communication and comprehensive patient education. All of this is essential to maximize benefits from therapy and improve clinical outcomes for our patients. Medical writing and editorial assistance were obtained from Michele Jacob, PhD, and Larry Rosenberg, PhD, at Evidence Scientific Solutions. Funding was provided by Novartis Pharmaceuticals Corporation. The authors do not have any financial relationships to disclose.